Established in 1863, the Band of the Royal Regiment of Canada is the oldest permanently organized band in the Canadian Forces and is based at Fort York Armoury in Toronto. 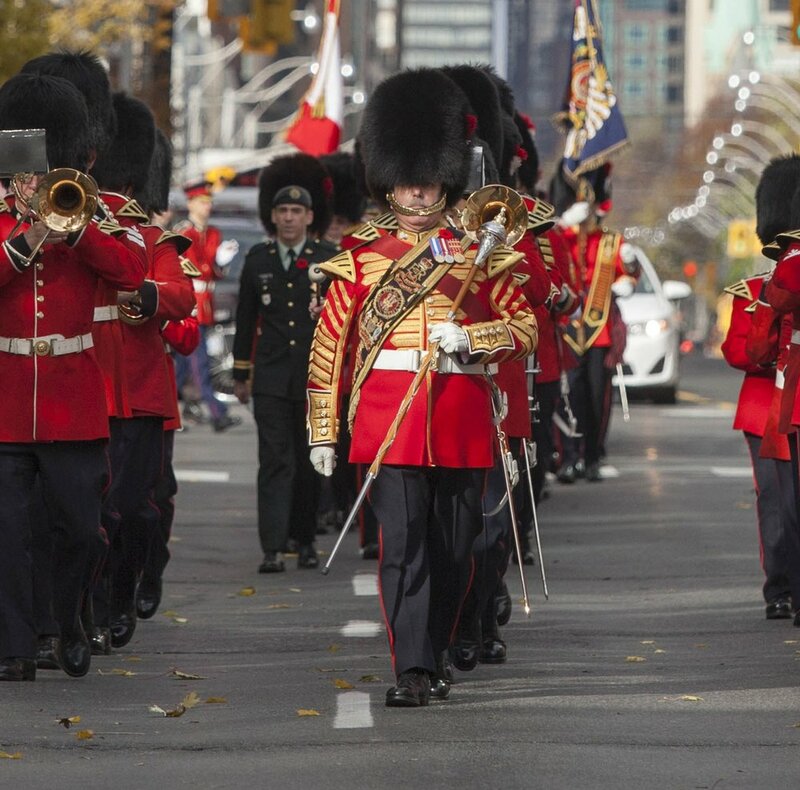 The Band provides ceremonial support to the Canadian Forces through its many ensembles – a colourful marching band, a concert band, a jazz ensemble, a swing orchestra, a brass quintet, and a fanfare trumpet quartet. The Royal Regiment of Canada is an Army Reserve infantry unit. The Regiment has a distinguished record of service during the Northwest Rebellion, and the First and Second World Wars. More recently members of The Royal Regiment of Canada have served on peacekeeping missions throughout the world including Cyprus, The Congo, Eritrea, Haiti, Kosovo, Bosnia, Namibia, The Golan Heights, Sierra Leone and the Sudan. Members of the Regiment have served in Afghanistan. The Band has performed across Canada, appearing at events such as The Summerside Tattoo in Prince Edward Island, and the International Military Festival of Music in Quebec City. The Band has also travelled throughout the United States of America to participate in events such as the historic Fort Ticonderoga Tattoo and The Rochester International Marine Tattoo in New York State, the U.S. Army Training and Doctrine Command Military Tattoo in Virginia, and the renowned Stone Mountain Highland Games Military Tattoo in Atlanta. International appearances include performances for the United Nations in Cyprus; the Military Musical Pageant in London, England; a command performance for our Colonel-In-Chief Prince Charles, Prince of Wales at Buckingham Palace; the 50th Anniversary of the raid on Dieppe, France, and the 2006 International Military Music Festival in Krakow, Poland. The Band has been honoured to perform for Her Majesty Queen Elizabeth II, the Queen Mother, Princess Anne, the Duke York, and other members of the Royal family on numerous ceremonial occasions. The Band has made five recordings which have won wide critical acclaim. Currently the various groups within the main musical organization are very active. Their wide ranging activities have included live, televised and broadcast music, colourful marching displays, concert performances, ceremonial fanfare trumpets, opening ceremonies at many functions, dance and reception music.